I ran into him at the Atlanta Airport last week. Told him I was glad he was back on the Hill. I am curious who he was visiting in Atlanta. He’s a good dude! Glad he’s back! Why didn't you ask him? And becoming the highest paid OC in the country without paying state income taxes had nothing to do with it. that was the best and most down to earth PC I think I have ever heard. Really glad we got him back. I often wonder how a coach’s family makes these moves. I’ve heard of coach’s wives having to stay behind to square things away such as kids finishing the school year, selling the houses, finishing up their own work before relocating. 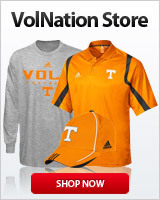 Maybe possibly it was something to that effect or maybe it was something in his official coaching duties with Tennessee. It is either phased out or in the process of it. You "ran into" Jim Chaney, and you're still with us? Report to the next practice in your warm-ups! Don't forget that there are no state tax in Tennessee either. When you consider that Georgia's 2019 tax rate is 6%, the decision is easy in my book. 6% of $950,000 (UGA salary) is $57,000 per year. Yes...............just sent them a check. Hall supposed to be fully repealed in 2021. No mistake that Kathie Lee is moving here. You might hate her, but she isn't stupid. Great press conference -- I think we're blessed to have him back. Hopefully he'll be able to retire here this time around.